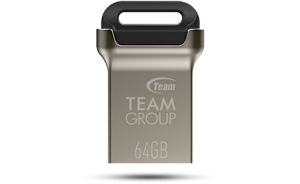 Available in capacity options of 16GB, 32GB and 64GB, the Team Group C162 USB 3.0 flash drive delivers capacity, speed and quality in a tiny, elegant package. With a small, thumb-sized footprint, this drive can easily slip into your wallet, or attach to your key ring or backpack with a key hole. Its zinc alloy housing is classy, yet durable to withstand splash, dust and shock. 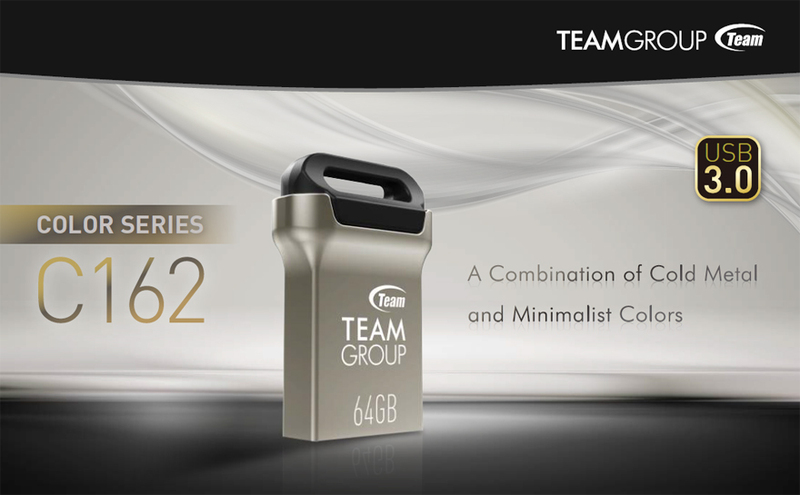 The Team Group C162 offers a convenient, reliable and portable storage for life on the go. C162 is using the fastest USB 3.1 gen 1 interface (USB 3.0) which provides up to 5Gbps theoretical bus bandwidth. Actual speed is up to 85 MBps read and 20 MBps write* (32GB and above) to meet the needs of performance-seeking power users and enthusiastic players. * Transmission speed will vary according to different hardware/software conditions, therefore the data can only used for basic reference. 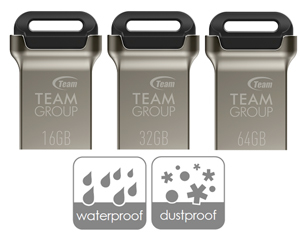 Team Group marries tough metal and soft colors, two conflicting elements to create C162 USB drives that are both durable and gentle. By cleverly combining the toughness of Zinc Alloy and the softness of the mysterious black color, the beauty of integration from two different materials can be brought out ingeniously. Its unibody design and the COB assembly process offer capabilities of splash proof, dust proof and shockproof, so the data will be safe and secure even from external damages. With the plug and play design, it is able to expand the storage capacity of desktop and laptop at any time. 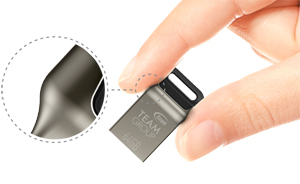 C162 USB drives also improve the convenience of use by adding an ergonomic structure design at both sides of the bottom for even easier, more comfortable use. A strap hole lets you easily attach your drive to your key chain and other places convenient for you, thus you can keep your drive, and data, always within reach.